WNRV was purchased by New River Interactive Media, LLC in November 2009, restoring it back to local ownership and management. 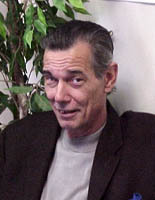 Dennis Welch brings a wealth of radio knowledge and experience to WNRV. Dennis has worked in a variety of roles at WNUS-AM/FM (Chicago,IL), WLOO (Chicago,IL), and WXYB (Tampa, FL), with responsibilities including on-air personality, production, programming, sales, and station operation. But his career has been more than just radio, his background also includes being a religious monk and a Marine who served in Vietnam. In the 1980s Dennis moved to Florida and decided to go back to school, earning 2 Associate degrees in Radio and TV Programming from Hillsborough Community College and a B.A. in Communications from the University of Tampa. Dennis was Operations Manager at WXYB in Tampa for the next eight years and also taught radio classes at Hillsborough Community College. In search of a new adventure and a station of his own, he came to WNRV in mid-2007 and took over as Operations Manager. He helped reshape the format and style of WNRV to make it a community-focused station once again, and has been the driving force behind WNRV since he arrived. Dennis found his niche in Giles County. Terry Reed is a Giles County native from Rich Creek, VA who has strong roots in the community and the region's musical traditions. He is an avid music fan who has listened to a wide spectrum of music over the years, but has always held a special place in his heart for bluegrass and old-time. He attended Narrows High School and received his B.S. and M.S. degrees in Electrical Engineering from Va Tech. In Terry's diverse 20+ year technical background, he has worked at companies ranging from start-ups to government consultants to large commercial companies. 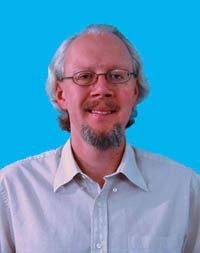 Prior to joining WNRV, he spent 5 years managing the technical operations for Internet advertising-based systems for streaming audio and video at Lightningcast, Advertising.com, and American Online (AOL) . The combination of Terry's technical background and his commitment to the music traditions provide a unique perspective for leading WNRV and maximizing it's potential. He is also focused on expanding the capabilities of WNRV via social media to help promote the music and region. Terry actively works with the local and online communities at WNRV and is diligently preserving the music for future generations. Dean (TBaby) Reed has a long history in music and the local community. He is a Giles County native who grew up in Glen Lyn, VA and has been involved with music and local events his entire life. His father Henry Reed, a renown local old-time fiddler, taught him to play the guitar at age 7 and Dean has been playing ever since (as have most of his 10 siblings). He has been playing in local bands for most of his life, including the 1950s music show Country Jamboree on WHIS TV in Bluefield, VA (now WVVA). His 46 years at the Narrows, VA Celanese plant contained more than 30 years of service as a Shop Steward representing the workers' union. Dean has many years of experience in a variety of areas for music-related events and community involvement. He has been an active fund raiser and volunteer for numerous schools, organizations, and businesses over the years, including Ruritan Club, Lions Club, Jaycees, and American Legion, as well as promoting regional music events. He was proud to act as the station's General Manager, and continues helping the community as part of WNRV and is active in supporting and promoting local music traditions.